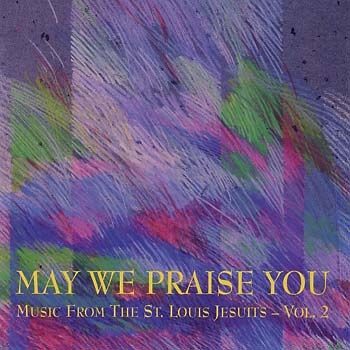 Bringing favorite songs into today, May We Praise You from the St. Louis Jesuits features many titles with new keyboard, instrumental and SATB arrangements. This is the MP3 playlist for May We Praise You. Reflective of our ever-changing times, we are pleased to present this updated version of the St. Louis Jesuits Mass, along with several original tunes that call us to worship and sing out in praise. The soft, sweet sounds of “Save Us, O Lord” and the classic “Sing a New Song” are wonderful reminders of faith and proclamation, while the smooth, mellow tones of “The Cry of the Poor” and “You Are Near” serve as gentle reminders that God is ever-present; always watching, and always listening to our prayers. This release features new keyboard, instrumental and SATB arrangements, lending an even greater richness and flexibility to these enduring favorites in this definitive edition of a modern day classic.